Diclosure: This is a sponsored post. However all opinions are 100% my own. 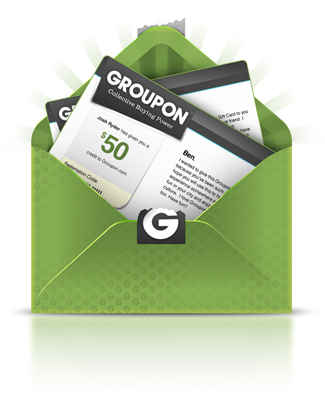 If you love coupons and Groupon, then this post is for you! Before I do any kind of shopping, I always search for the latest deals, specials, promo codes, and coupons that are available. Groupon Coupons just so happens to be one of the first places I look! With graduation and wedding season right around the corner, maybe you're looking for ways to save on announcements and invitations. Well, Groupon Coupons has some great deals, promo codes, and specials from Shutterfly, Vistaprint, and Oriental Trading... just a few of my favorite places for invitations and party supplies! Groupon Coupons currently has 24 money-savings Vistaprint coupons! Right now you can save 25% of announcements and invitations, posters and signs, and photo gifts. As well as 20% off sitewide and so much more! Unlike their regular model, you don’t have to register or purchase anything upfront. It’s a collected and curated group of free coupons and promo codes from many of my favorite stores like Kohl's, Walgreens, and Target. Coupons and promo codes are constantly changing, so be sure to check often! Before you head out to make a purchase of any kind, check here first! Maybe you're more interested in some great money saving deals from other top retailers like Sears, Home Depot to help spruce up your house this spring and get ready for summer. Groupon Coupons has those too! With this great resource as your fingertips, you can be saving on just about every purchase you make. I just checked and there are currently 79,838 free coupons at 11,804 stores.. How cool is that? If you haven't checked out Groupon Coupons, you could be missing out on BIG savings!